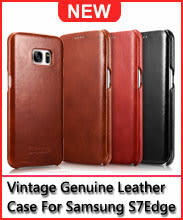 Shop for and buy a wide selection of the best Samsung Galaxy Tab Accessories including Samsung Galaxy Tab Chargers, Samsung Galaxy Tab Cover Skins,Samsung Galaxy Tab Cases And Samsung Galaxy Tab car chargers for carrying convenience at CasesInTheBox.com! Find the cheapest Samsung Galaxy Tab Accessories at wholesale discount prices at CasesInTheBox.com. Directly buy cheap wholesale Samsung Galaxy Tab Accessories from CasesInTheBox.com. Free shipping worldwide. Shop huge selection of Galaxy Tab Accessories, Samsung Galaxy Tab Earphones, Samsung Galaxy Tab Cases, Samsung Galaxy Tab Chargers and more,Free Shipping on Samsung Galaxy Tab accessories,Do not hesitate to buy your best one Samsung Galaxy Tab Cover Skin. All products are of the latest series shown in this page,Also Find List of Galaxy Tab Accessories Products from all popular Brands with fashion design, the latest trend, you can pick up Cases For Samsung Galaxy Tab here for your fashion style.